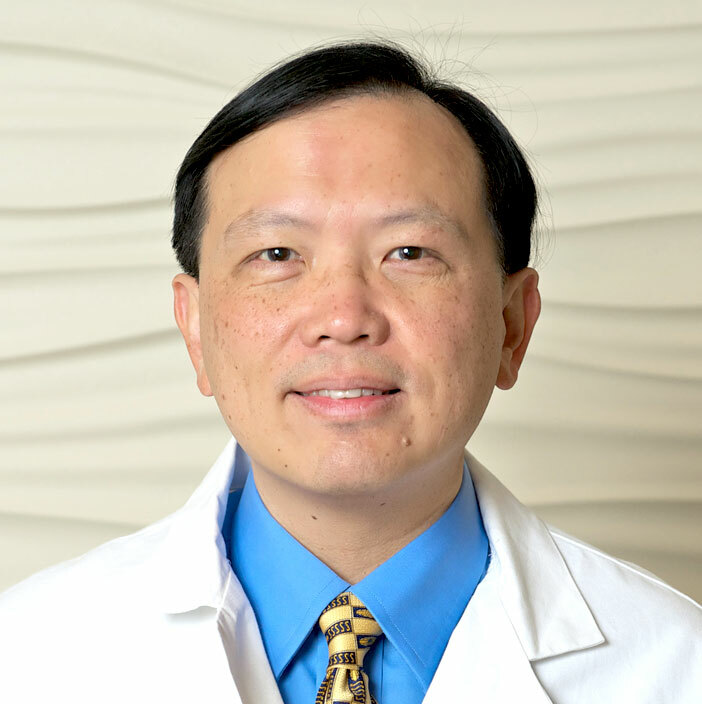 Dr. Andy A. Wang has been a member of the Hill Medical Corporation since 1992 specializing in Body Imaging, Nuclear Medicine, and Bone Densitometry. He has extensive experience in these fields and has established a highly honorable reputation for his excellent work in Nuclear Medicine to include PET/CT, Computerized Tomography, and Ultrasound Imaging at Huntington Hospital, Huntington-Hill Imaging Center, Inc., and Hill Imaging Center, Inc.
Dr. Wang is a Certified Clinical Densitometrist, providing expert interpretation of Bone Densitometry, using an advanced technology called DXA (Dual Energy X-ray Absorptiometry) at the Jim & Eleanor Randall Breast Center He plays an integral role in overseeing the proficiency of the Bone Densitometry department. He graduated from Rice University in Houston, Texas with a B.A. in Biology and Biochemistry. While at Rice, Dr. Wang was on the President’s Honor Roll, National Dean’s List, and was a member of the prestigious Phi Lambda Upsilon Honorary Chemical Society. Dr. Wang received his medical degree from the University of Texas Medical Branch/Galveston and he completed his Radiology Residency at Methodist Hospital in Memphis, Tennessee. He completed his fellowship training in Body Imaging and Interventional Radiology at Los Angeles County/USC Medical Center. He has been certified by the International Society of Clinical Densitometry for demonstrating mastery of an approved body of knowledge in Bone Densitometry.